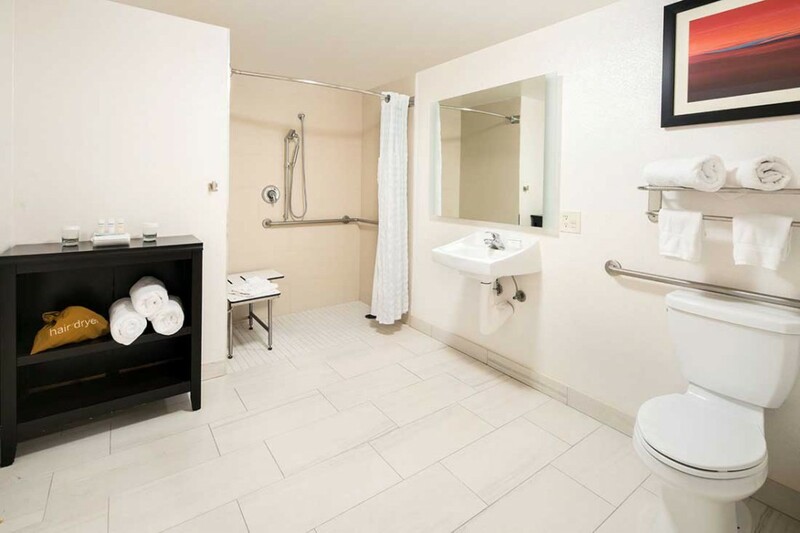 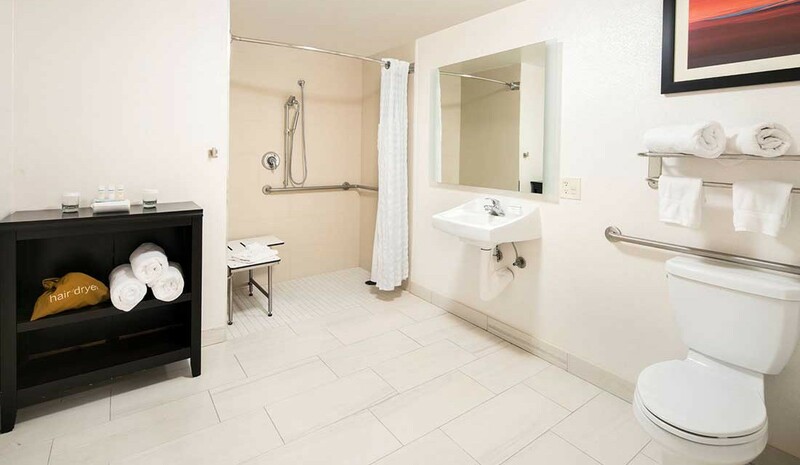 This mobility accessible non-smoking two bedroom suite features one king and two queen beds, and a roll-in shower. 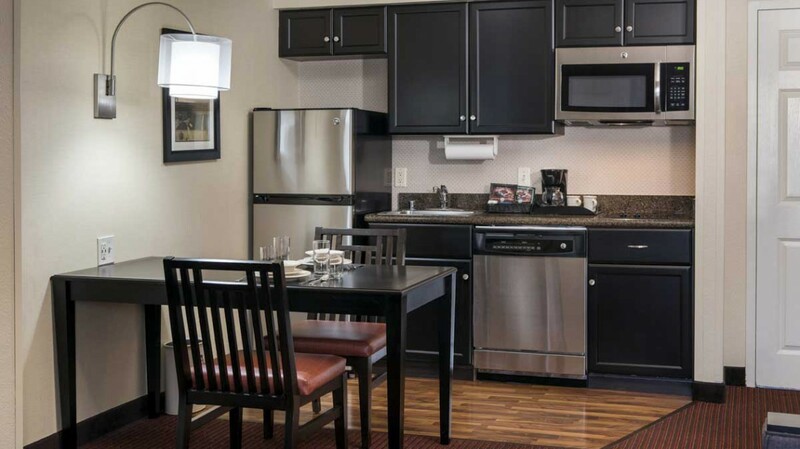 The kitchen, built to lower scale, is fully equipped down to utensils; and includes a full-sized refrigerator, microwave, dishwasher and twin burner stove. 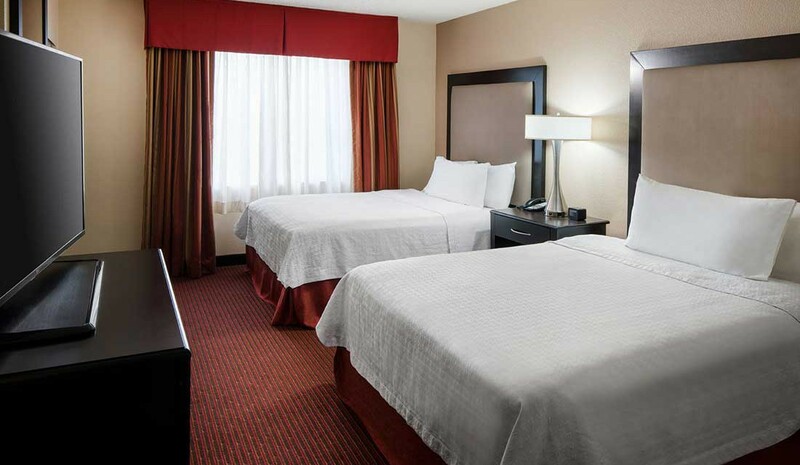 The two full-sized bedrooms each offer closet space and HDTV. 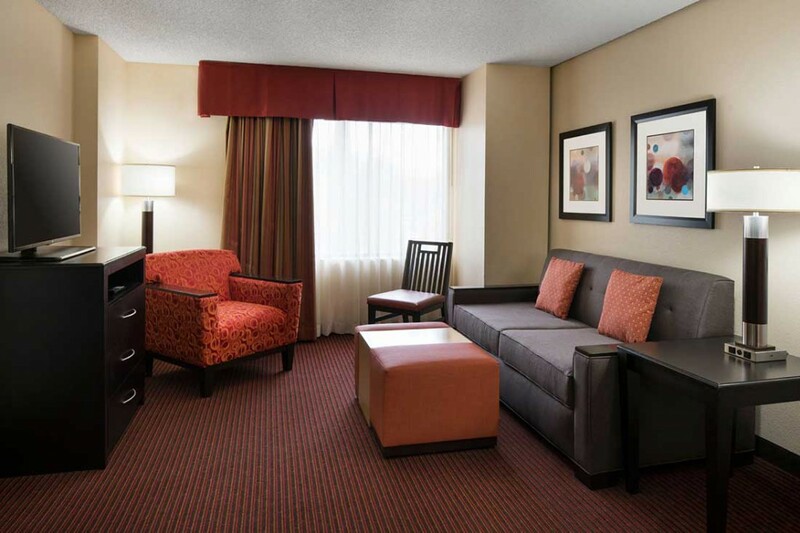 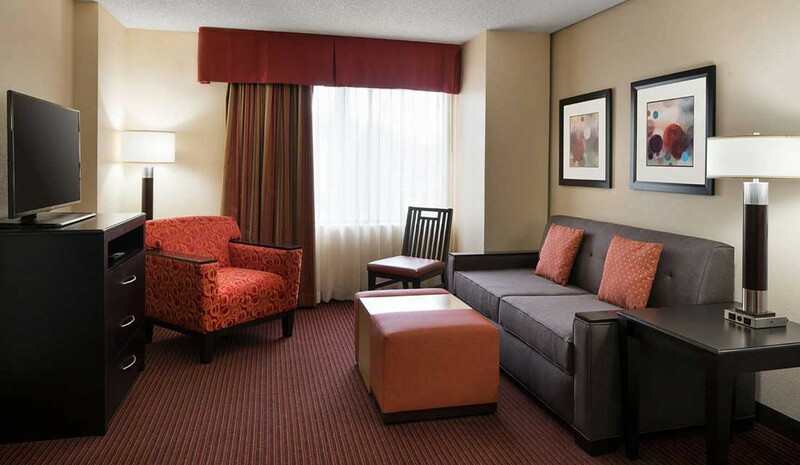 Relax in a separate living area with a full-sized sofa bed, side chair and HDTV. 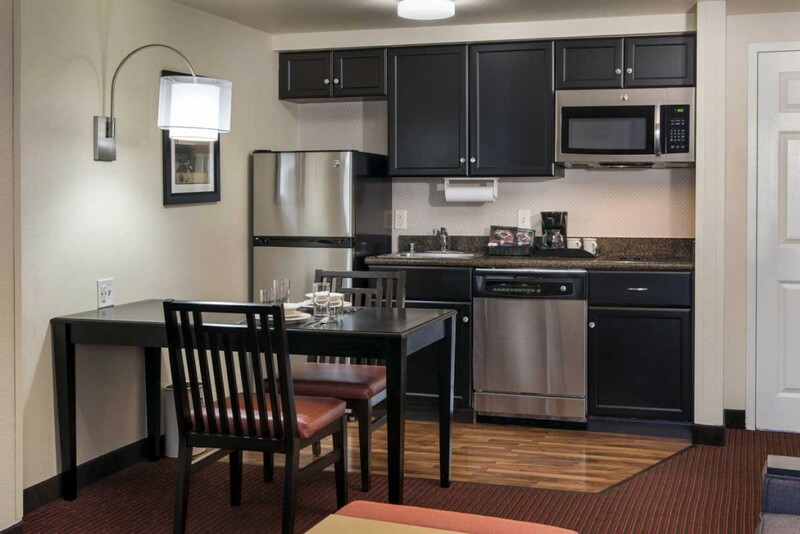 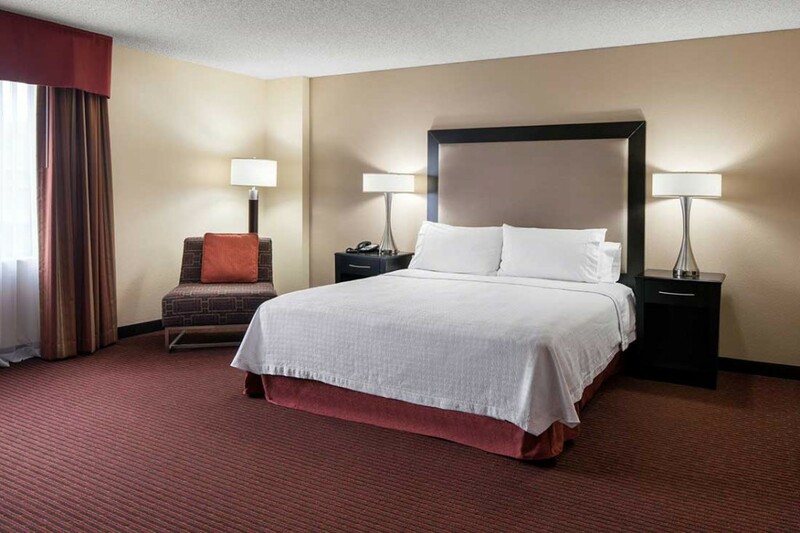 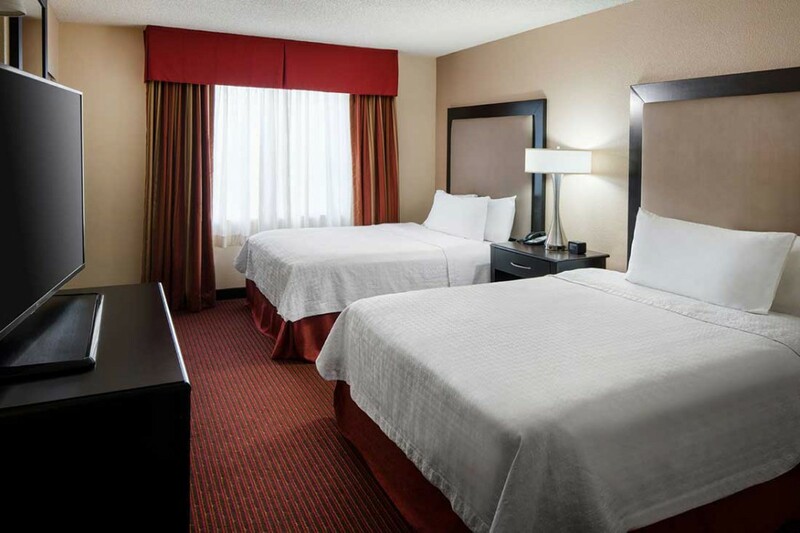 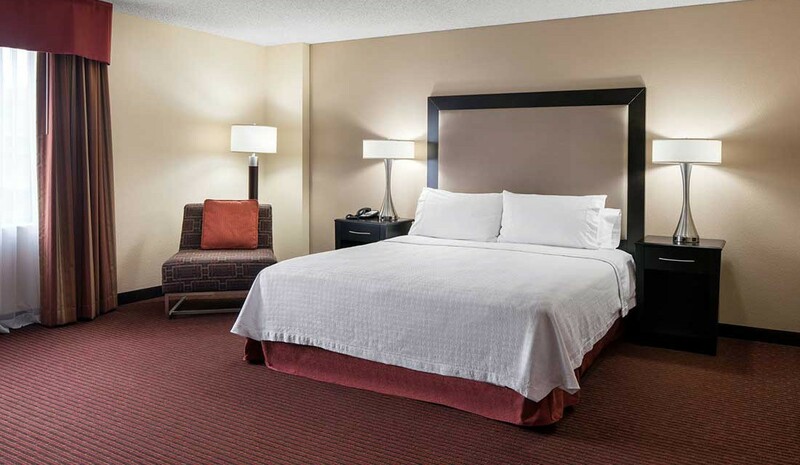 This suite keeps you connected with complimentary high-speed internet access, alarm clock featuring a back-up alarm system, MP3 player capabilities and pre-set local radio stations.